Eye: Very amber glow through dark mahogany. Nose: Floral and spicy notes, a strand virility. A subtle ensemble. Notes of old leather, blond tobacco and sandalwood. Palate: A beautiful length typical of the 1er Cru. A Cognac exuding total finesse, the Charpentron Cognac Extra is a gorgeous edition from the Premier Cru, the celebrated Grande Champagne. Aged for over a decade in oak barrels in cellars, the eaux-de-vie within the blend have been aged for a least a quarter of a century. Eaux-de-vie from this terroir take longer to age, and generally spend longer in the barrel. When aged in oak casks, the aromas are perfected, softened and rounded - thus enhancing its flavors. A subtle and gentle Cognac. The Grande Champagne cru in the Cognac region owes its reputation for producing very fine and floral eaux-de-vie largely to its geological makeup. The maritime climate combined with millions of years of fossilization has resulted in chalky soil with a limestone subsoil. This composition makes for excellent drainage, and the position of the terroir means that it receives optimal sunlight exposure. 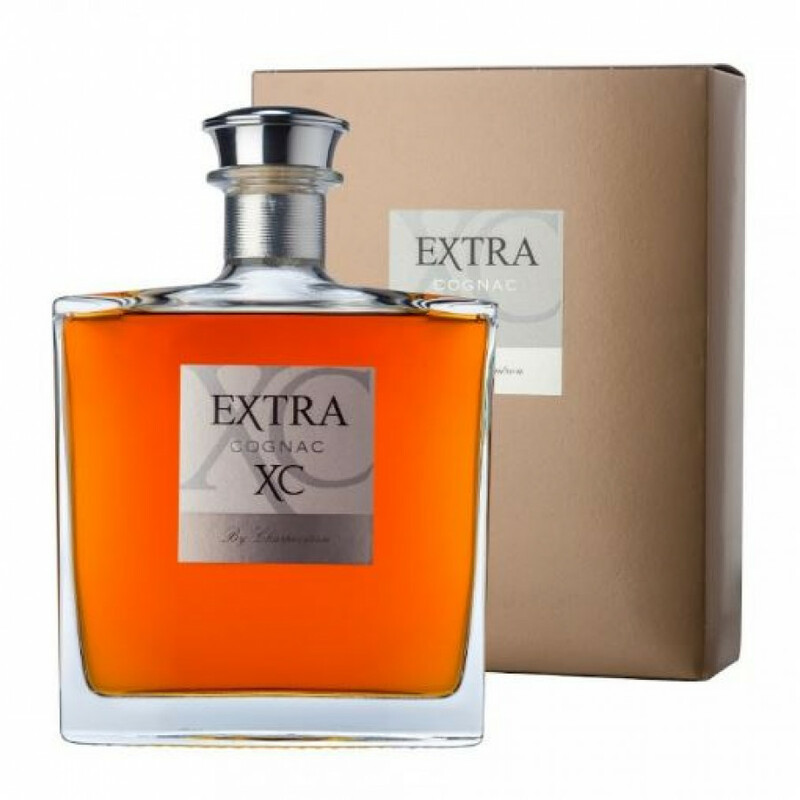 The Charpentron Extra Cognac is bottled at 40.2% ABV in a 70cl decanter. The Charentron estate, the Clos de Merienne, is located in the heart of the Grande Champagne. They have 10 generations of savoir-faire to thank for their family based knowledge of the region and Cognac production. A beautiful geometric decanter, with a silver stopper. It arrives in an iridescent presentation sleeve.